Hi and welcome to our website. My name is Ed Hamilton and I've been involved in all aspects of the lawn equipment industry for over 35 years. My wife, Colleen, and I own the business. It's our goal to provide you with top-of-the-line products and service. 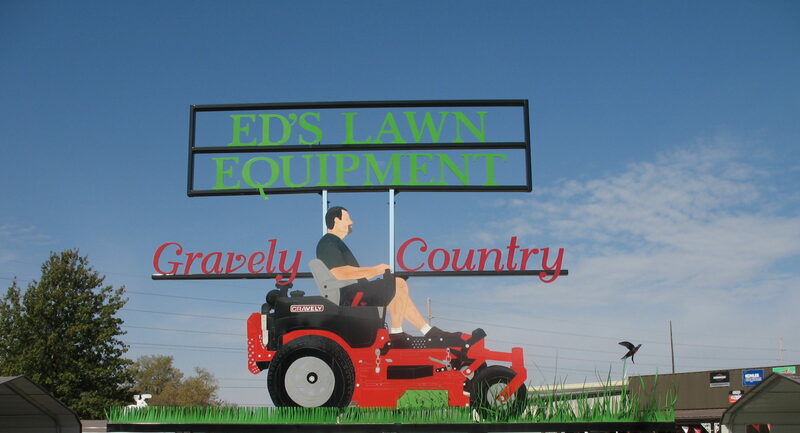 We take great pride in meeting your lawn equipment needs, no matter how large or small. We have a wide selection of both new and used equipment in stock -- our website provides only a sampling of what we have to offer. If you're looking for something you don't see on our site, let us know and we'll be happy to find it for you. We also have a large inventory of parts on hand for the do-it-yourself repairs and maintenance projects. Whether you're looking for new equipment, currently own an item that needs repair, or simply want to browse, please stop in and see us, or give us a call. We'll be happy to answer your questions and help you find the right equipment to meet your needs. Your satisfaction is our top priority. As an authorized dealer, we can supply all models found on the manufacturer websites linked below, if you see something on one of them please let us know, and we would be glad to help you.